Home / Health / Should Diabetics Skip Breakfast? Nothing has changed since the days you were a kid. Breakfast will always be the most important meal of the day. It’s especially important for people with type 2 diabetes. 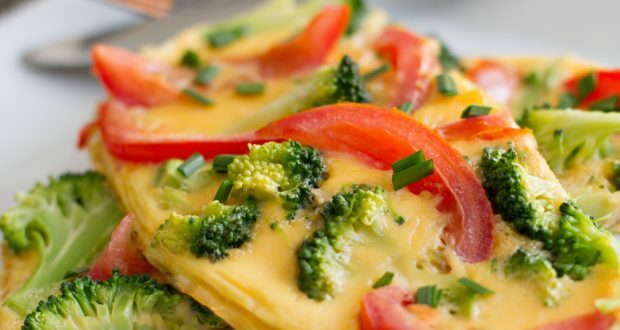 Every good diabetes diet needs a good breakfast in the morning to kickstart your body into action. Keep in mind that when you first wake up you haven’t eaten in a long time. If your last meal was at 6 PM and you wake up at 7 AM that’s thirteen hours without eating. Your body needs fuel when you wake up. A study by American Friends of Tel Aviv University found that skipping breakfast triggers significant blood sugar spikes throughout the rest of the day for people who have type 2 diabetes. Eating a healthy breakfast is incredibly important for controlling diabetes and managing your weight. Managing your weight can also go a long way towards managing your diabetes. Remember that type 2 diabetes can be controlled, and sometimes even reversed, with a healthy diet. You make the most mistakes with your breakfast on those days when you wake up late. Everyone has them. You wake up and you’re in a rush so you don’t have time to make anything. So you grab whatever is closest and go. Then there are the times you go out with friends and family, or just on your own, and have a nice big breakfast. The worst breakfast mistake you can make is skipping breakfast. If you don’t eat then the body begins to enter starvation mode. When you do finally eat not only are you likely to overeat but the body grabs everything that it can and stores it as fat. It becomes unsure of when the next meal will be so it stores all the extra energy it can. This fat storage is bad for anyone but is especially bad for a diabetic. If you wake up in a rush and need to get moving quickly the temptation to just grab something sugary and a coffee for that sugar and caffeine boost can be pretty high. This is a major breakfast blunder you shouldn’t make. Your breakfast needs to fuel your body until at least lunch time. It needs to be composed of valuable energy rather than just a quick spike of energy. While you’ll get that temporary sugar high from eating a doughnut and drinking a coffee it won’t last long and it’ll only damage your body in the long run with the sugar crash. More people these days are drinking their breakfasts. The truth is that you get more nutrients from eating food whole. People are also turning to juicing these days but remember that juiced fruits have just as many carbs and calories as the whole fruit. Drinking too much pure juice causes blood sugar spikes and can cause you to gain weight. Knowing the foods you need to avoid is only half of making a great diabetic breakfast. You also need to know the foods that would be classed as healthy breakfast foods for diabetics. Here are some good choices. Breakfast is a great way to get more fiber into your body. Fiber is great for diabetics because it makes you feel full and it helps even out your body’s insulin release. So the more fiber you eat the better your control over your calorie intake and blood sugar levels. A diabetic breakfast should have between 7 and 10 grams of fiber in it. A good balanced breakfast includes a moderate amount of protein and plenty of healthy fats. That’s what makes eggs one of the very best breakfast foods because they contain both. Protein and fat, much like fiber, also gives you the feeling of fullness and satisfaction. Including fruits and vegetables in your breakfast is a great way to get a few healthy carbs without eating a lot of calories. They are also filled with vitamins, minerals and fiber. If you’re in a hurry then grab yourself some low-glycemic fruit like berries or apples. Add some full fat unsweetened Greek yogurt or cottage cheese. A breakfast burrito with scrambled eggs and sausage from pasture raised pork, served in a low-carb tortilla, is also a great quick option. Check your blood sugar levels two hours after eating breakfast. If it’s higher than your target levels then you are eating too many carbs and sugars and not enough fats, proteins and fiber. If you include lots of healthy food choices in your breakfast then a breakfast for diabetes is a great way to get control over your blood sugar first thing in the morning and manage your weight all day. I disagree, type 2 diabetics should not eat breakfast. Every time you eat, it spikes insulin. How can that study show an increase when you haven’t ate anything? I don’t see how its possible to spike insulin without food. Magic spikes? lol! sounds fake to me. Intermittent fasting is when you don’t eat for 16 hrs and that triggers growth hormone production to burn sugar even more. This is a diabetic hospital? Well a patient cured is a customer lost. “spikes all day” haha! Those doctors need to go and reread the physiology books. Starting with the pages related to ketosis. *this study shows 50% decrease in insulin! Blood sugar can definitely spike in the morning WITHOUT eating. Look up “dawn phenomenon.” I am affected by this as are many other people, diabetic and non-diabetic.